This enduring compressor design has been the favorite of millions throughout the years. 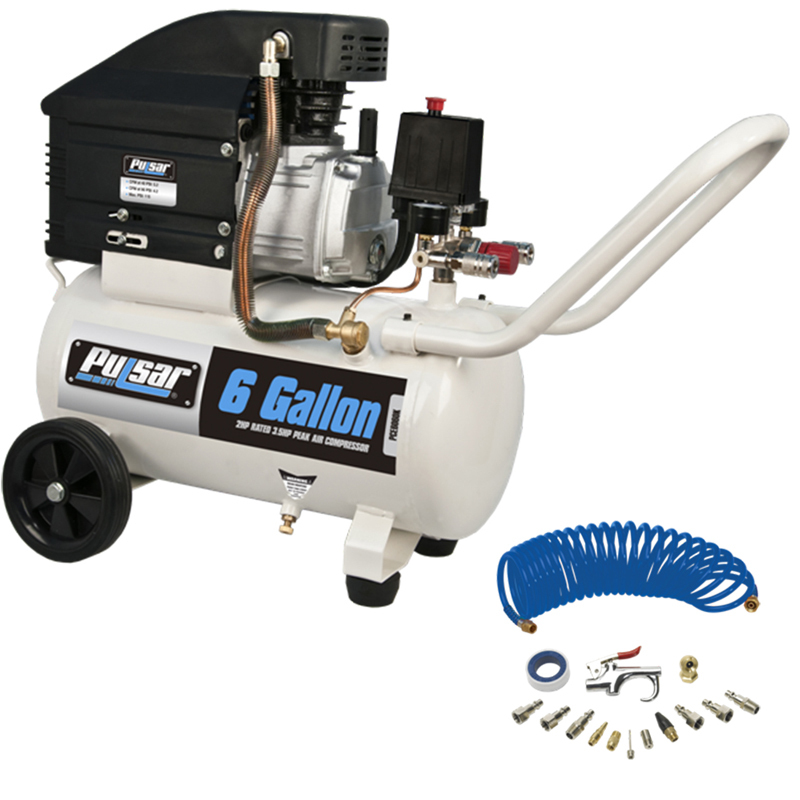 With a six gallon tank capacity that has been electro statically painted for years of use, powerful 3.5 HP electric motor, oil reservoir creates 115 PSI and has output levels of 5.2 CFM at 40 PSI and 4.2 CFM at 90 PSI, allowing it to operate many air tool for extended periods of time without the worry of recycle time. The PCE6060K incorporates dual pressure gauges and brass quick connect couplers meaning that changing tools is a breeze, even in the middle of a job, while the handy handle and mobility kit allow the job to be almost anywhere there is electricity available.